This entry was posted on May 29, 2012 at 2:38 pm and is filed under General WoW with tags real ID chat, World of Warcraft, wow. You can follow any responses to this entry through the RSS 2.0 feed. You can leave a response, or trackback from your own site. Here is the secret of extroverts: we love to hear ourselves talk, and rarely notice if no one is listening. Never fear, dear Tome – be in your own world, and if some one knocks, look through the peep hole first. It’s your world, and you don’t have to let folks in. It’s funny how my Real ID friends and I have established the unspoken rules of speaking- never, ever no harm no foul. And the good thing about playing predominately with men is, they tend to be very direct, and even when I think something is wrong, it’s not. LOL! I wish someone would come out with a book on extroverts, maybe they have I should look. See introverts are giving what you say their undivided rapt attention, you just don’t know it cause they don’t say anything! While I don’t bug everyone who’s on my BattleTag friends all the time, I certainly have no qualms with not answering anyone’s messages. >_> I’ve wandered away from the computer before midconversation… whoops! Hi Mishaweha! I’m getting better, but if I step away from the computer for a minute I always scroll through chat to make sure I didn’t miss anything, lol. Supposed to have thunderstorms later so maybe that’ll help cool things down. That’s my life, right there. LOL! I am so glad I’m not the only one! I think I’ll blame it on my mother and all her politeness rules when I was growing up. Agreed! I’m faced with a moral dilemma when the “Vote To Kick” option comes up each time, too. What if the afk person is dcing or their phone rang? It’s a bit silly, but I sit there all torn up inside for ages! Oh, I would be exactly the same! i also tend to not be the first one to message a person. unless it’s someone that i talk to alllll the time anyway. It’s good to know I’m not alone. Matty says extroverts don’t care if you’re listening, I never, ever would have known that. I do the “just a sec” too, it’s like some unseen power makes it impossible not to respond. I think it’s working rather well, at least I feel like it’s cooler, hope the computer does too. That portable AC unit works just fine (it really is one, although not nearly as efficient as a powered model with freon (or equivalent these days). I pretty much don’t say anything to my (few) RealID friends unless the mood strikes me or something is going on that I need to contact people about. I used to wonder when people didn’t respond, but I’ve learned to shrug it off. And believe me, that’s coming from an introvert. It’s working pretty good but now I need to have a chat with the refrigerator about stepping up ice cube production. It’s funny, the few times I’ve had no response I just figured they were away from the computer or busy. I’m sure that’s what they’d think of me too so I don’t know why I stress about it so much. I figured there must be some more introverts out there! Don’t feel bad at all. Quite often when I log on I am the one who initiates conversation with others. It doesn’t bother me, it’s simply something I noticed. So, it’s not just you shy ones. I can remember if the “HE” you’re talking about is me or if we merely had a similar discussion one day and I stopped until you were free to chat, heh. You’ve hit the etiquette pretty well. If you’re busy, you’re not obligated to anyone to respond. Heck, I have guildmates logging on these days while I’m doing cut scene central, aka Harrison Jones & Uldum. Half the time I don’t even see the original comments. Come to think of it, Real ID gets the same treatment in those cases. Either way, I just apologize and explain. I know, I even worried about the cut scenes and have to quickly scroll through chat when they’re done. But I am learning, I did know that you are available to talk to if I catch you logging in! And I have to remember the message thing, I always forget about it. Hehe, I know what you mean, but I obsess over answering correctly in the right tone saying the right things blabla that I am too hesitant. Then 5 minutes has passed and meanwhile I’ve typed, then deleted, then typed, then deleted my message and still haven’t responded *headdesk* And it just makes it all the more awkward. If I get really comfortable around someone, it gets better, but damn I feel so silly often. OH! I forgot about that one, I do that too. Type and retype and fix typos and then hit enter and get the message that the person is no longer online, lol. I think I may have read it but I’ll have to go and check it out! Ok, first of all LMAO. I do tend to alt-tab A LOT so you may be lucky if I respond at all sometimes. Geez yeah, my spelling is usually horrifying, I wonder if there’s a spellcheck addon lol! I alt-tab a lot too, if I’m in a zone I like to check to see if there may be something I want to get or see while I’m there. I’m just so glad you’re back with all your gear and money! Yeah, I feel quite weird having all of these people on my friends list. And I think I’ve talked to one of the 20 or so I now have on there. I just don’t know what to say. So.. BRB! LOL! What’s funny is I’m remembering another thing that I did when I first started this blog. If someone commented to my comment I felt rude if I didn’t respond again and then sometimes they apparently were like me so you’d see about 12 comments back and forth cause neither of us could stop! Oh God, I thought you were talking about me! You might be! I’m terrible sometimes, I will chat chat then suddenly.. nothing. Then suddenly…. log off. Raiding, arena, afk, work…. I was wondering am I one of those awful realID friends that you think – hey, how come u talked to me and suddenly now you’re not? And I must disturb you all the time because I’m always chatting. I never thought I was an extrovert. I just like to talk to people that I like. And there are so many things I want to tell you that I forget that sometimes you might want to say “Navi, please. I’m dying, can you stop for a sec?” And that’s ok! Just tell me, I can be a good girl and be quiet. Even if it’s only for 1 minute. Nope, it’s not you Ms. Navi. I know all the things you do so if you stop talking I just think you’re in the arena or making another mog outfit and I look forward to hearing from you, you’re not disturbing me and I’m learning to speak aussie from you, if you don’t chat how will I learn, lol! 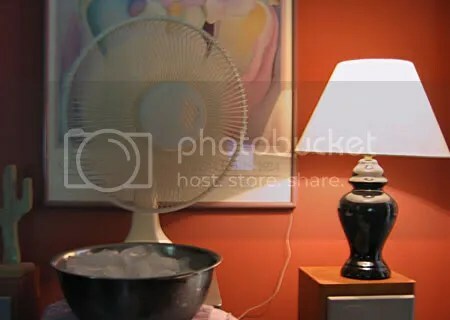 I actually had a tiny laughing fit when I realized the picture was your no-AC-quick fix. Brilliant! I may be using that longer than I thought because they said they’d call me yesterday to schedule a day to fix it and no call yet! My poor characters have died quite a few times because of my need to respond. I remember thinking a bunch of abominations in Strath couldn’t kill my bear form, but oops, if you leave her there long enough I found out they could, she wasn’t pleased with me! I need to remember that I can mark myself “away” then I probably wouldn’t have a problem thinking I’m being rude. Maybe I’ll get the hang of this soon, lol!